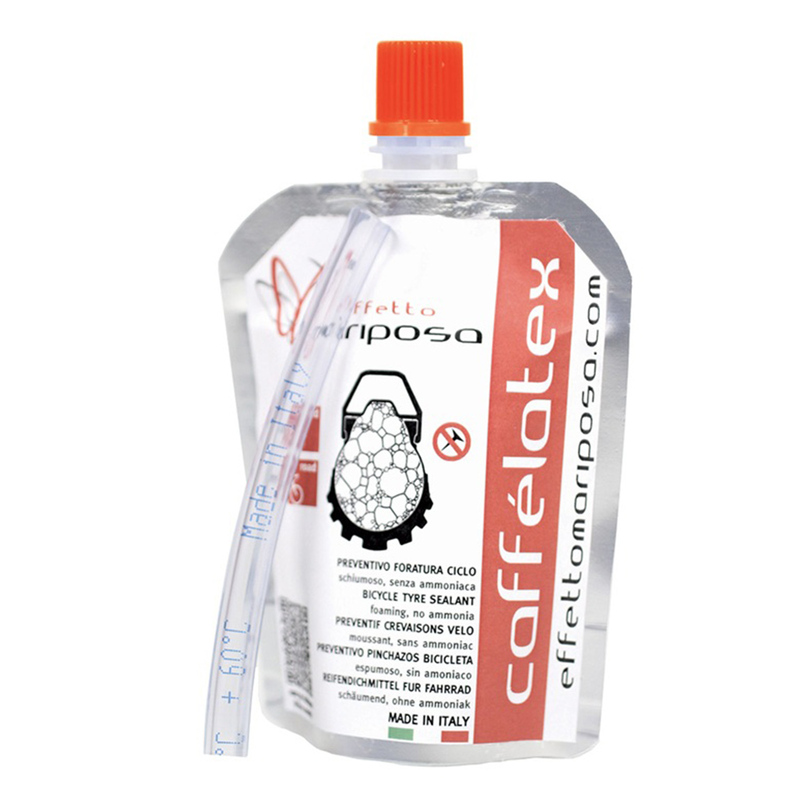 Nevertheless, in the impossibility of knowing our customers’ specific application (kind of wheel/tyre set-up, tyre sidewall thickness and porosities, external temperature and humidity, bicycle storage conditions…), we recommend checking Caffélatex every 2 months, to make sure it’s liquid and therefore retains its ‘puncture preventive’ action. When dry, Caffélatex-sealed wheels are still air-tight, but Caffélatex won’t actively repair punctures. Recommended quantities: 30 to 50 ml per wheel for road/cyclocross applications; 50 ml for mtb tyres up to 26×2.10/29×2.00; 60 to 100 ml for mtb tyres over 26×2.10/29×2.00. Good product. Seals punctures/small holes well. Haven't experimented a puncture yet, and can't compare to other sealants. The foaming agent certainly works. Turn the bottle 2-3 times to distribute the particles without foaming the sealant to much to make it impossible to measure the volume to add into the tire. Ensure when you take the injector off (sold separately) that the backpressure doesn't volcano the sealant back out of the valve. Compress the tires whilst adding to prevent this pressure, and ensure the sealant drips down with the valve from a point not at the bottom of the rim. Trying this out after using Stans sealant for ages. Nice to use and so far no issues. Easy to use, sealed the tyres to the rim no problem. Good value sealant; easy to inject.